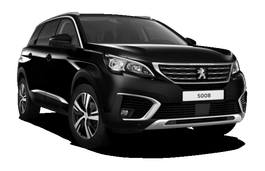 Correct Wheel Sizes, PCD, Offset, Rims and Tire specs for Peugeot 5008 series. 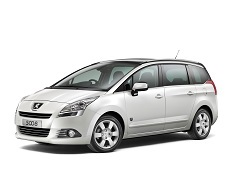 I have a 2015 Peugeot 5008 2.0 Allure with 17” wheels and 215 / 50 R17 tires. It is time to replace the tires. I want to install bigger tires. What is the biggest tire size that will fit? Yes, I want to use the original 17" wheels. But with a wider higher profile tire. What would fit using a 55 or 60 profile tire? for example: 225/55-R17 would fit? or bigger: 225/60-R17 or more? Hi,Nilo Santos,For the threee options,only 225/50/17 is compatible for your car.You can also try 205/55/17.I don't know your wheel width,It is 6.5''.205/55/17 is ok.